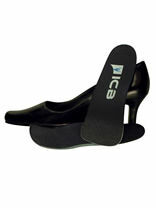 ICB Extended Heel lifts are useful when a raise of more than 8mm is required. 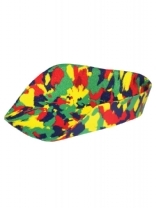 Used as an aid in the treatment of a structural short leg. Always use a heel lift in conjunction with an orthotic. Available in: 4mm, 6mm, 8mm, small, medium, large. Available in packs of 2 or 10. Forefoot additions can be applied when extra forefoot support is needed. ICB Forefoot additions can be used for either Varus or Valgus deformity and are tapered to allow a smooth drop-off on the distal edge. Available in 4° and 6°, packs of 2 or 10. 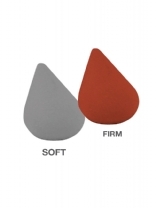 Choose from Soft or Firm. Designed to lift the metatarsal arch and spread the metatarsals, helping to relieve the symptoms of metatarsalgia, pinched nerves and neuromas. Available in small or large, packs of 2 or 10. Rearfoot additions are applied when extra rearfoot control is needed (more than the 5° inversion built into ICB Orthotics). 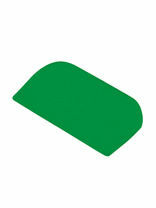 They can be used to reduce patient's pronating over the arch of the orthotic. Available in 2° and 4°, packs of 2 or 10. COMPACT AND LIGHT WEIGHT FOR EASY HANDLING. 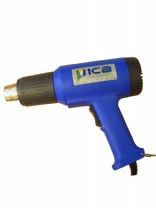 The ICB Medical Heat Gun is an essential tool when prescribing and fitting ICB Orthotics. Its powerful 2-speed motor is designed to assist Practitioners in heating and customising ICB Orthotics to the contour of each patients' feet. The ICB Medical Heat Gun is lightweight and enables the fitting of ICB Orthotics to take place in only a matter of minutes. Purpose built to fit into ladies high heel footwear. It features rearfoot varus post, and exhibits the same triangular shaft design as the rest of the range, which supports the transverse and longtitudinal arch of the foot, finishing under the second, third, and fourth metatarsal heads area. A new slimmer fit! 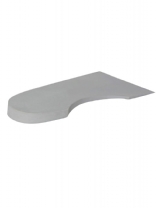 ICB Dress Style Orthotics possess the same intrinsic angles and features as the 2/3 length orthotic, with the exception that the lateral border has been removed, making it agreat choice for patients with wide feet or narrow fitting shoes. 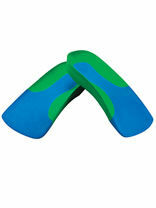 The ICB Children’s High Flange Orthotics are designed to provide additional support and control to the feet. 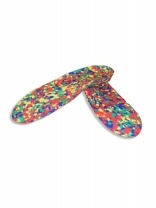 ICB Multicolour Orthotics are specifically designed for young children with medium pronation. 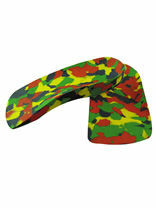 They are constructed from a medium density EVA, providing children with excellent biomechanical support and control. Firm Density (>75kg). 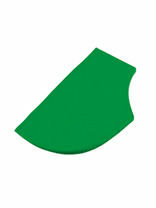 ICB GREEN Orthotics are specifically designed to treat patients who exhibit severe pronation. 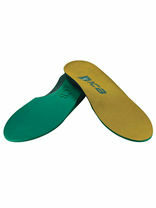 GREEN ICB Orthotics are ideal for athletes, highly active patients and patients weighing over 75Kg. Soft Density (<65kg). ICB White orthotics are a soft density EVA that provides mild pronation control and can easily be heat moulded and customised. Patients are able to easily adapt to the realignment and mild fuctional control. Mid Density (65-75kg). 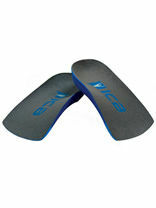 These orthotics are made of a medium density EVA (blue). The practitioners is able to heat mold, grind with machine, mould to a cast, or insert directly into the shoe. They are available in 7 sizes. Firm Density (>75kg). These orthotics are made of a firm density EVA (green). The practitioners is able to heat mould, grind with machine, mould to a cast, or insert directly into the shoe. They are available in 7 sizes. 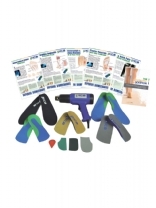 Here in one affordable pack is everything you need to get started using ICB orthotics to treat your patients. 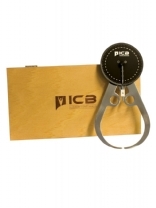 A Gravity Goniometer an essential tool in biomechanical assessment. Aluminium face dial and calipers. Designed for the practitioner who is interested in treating tibial torsion and to assess soft tissue compensations acquired due to inherited biomechanical conditions. 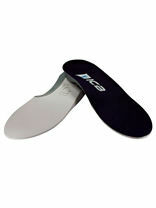 ICB Heat Moulding Orthotics are custom-fitted shoe inserts that work to restore and align the foots natural structures. ICB Orthotics allow you to reclaim your bodys overall balance and soft tissue control thus eliminating lower limb stresses and upper body compensations. 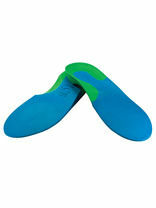 ICB Orthotics are available through DLT and can be fitted in a matter of minutes, with amazing results. ICB Heat Moulding Orthotics are available in a variety of models: 2/3 length, full length, high heel and dress (for use in moccasins). 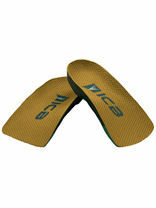 There is an ICB Orthotics to suit everyone from children, to sports people and the elderly. 5 degree Intrinsic Rear Foot Varus Angle: for the best angle for optimum performance 42 degree. Sagittal Inclinator: allows balance and co-ordination together with pelvic control and stability. 100% EVA: combines a long 'construction memory' to retain shape and a unique non-slip surface for greater control. Heat Moulding: easy moulding to individual foot or cast. 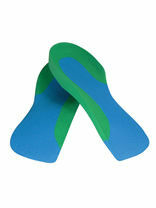 Wearing Your Orthotic In: wear for 1-2 hours per day until no discomfort occurs. Otherwise consult your practitioner for heat remoulding. 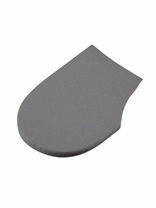 Additions: Heel lifts, Rearfoot additions, Forefoot additions and Metatarsal domes are available, all with pre cut double sided tape for ease of fixing.